Under the proposed statutory system, individuals would initially apply directly to a social media site to have harmful material removed in accordance with agreed time-lines: this is similar to the statutory system in place in Australia. If a social media site did not comply with the standards in the Code of Practice, the individual could then appeal to the Digital Safety Commissioner, who could direct a social media site to comply with the standards in the Code. 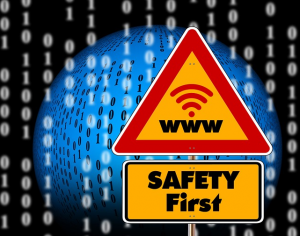 If a social media site did not comply with the Digital Safety Commissioner’s direction, the Commissioner could apply to the Circuit Court for a court order requiring compliance. 4(1) A person commits an offence where he or she, without lawful authority or reasonable excuse and in the circumstances referred to in subsection (2), by any means of communication distributes or publishes an intimate image of another person (in this section referred to as the other person) without the consent of the other person, or threatens to do so. 5(1) A person commits an offence where he or she, without lawful authority or reasonable excuse and in the circumstances referred to in subsection (2), by any means of communication takes, or distributes or publishes an intimate image of another person (in this section referred to as the other person) without the consent of the other person. Our report aims to encourage education and empowerment about positive and safe digital citizenship, while also recognising that the digital media revolution has brought negative aspects such as cyberbullying, harassment and stalking. … A big challenge is how we should deal with these harmful communications, and our report follows well-accepted principles, especially the need to achieve a balance between relevant rights – such as freedom of expression on the one hand, and the right to privacy on the other. Therefore, our report has recommended that we should approach this on three different levels. First, through education: to create user empowerment and to foster safe and positive digital citizenship. Secondly, through statutory oversight: where education and related responses are ineffective and the law needs to be employed, a system of statutory oversight should be used because it can be a more suitable and proportionate response than using the criminal law. Thirdly, criminal law can play a part, but only in respect of the most serious, harmful communications. … some provisions are surprising and worrying. In particular it proposes a censorship system where a non-court body can order takedown of material without the poster having a right to be heard, on the basis that the material is “harmful” (not further defined). … It would certainly contravene the ECHR on procedural grounds alone. 3.112 The Commission recommends that the jurisdiction to grant Norwich Pharmacal orders be placed on a statutory basis and that both the High Court and the Circuit Court should be empowered to make such an Order. 3.113 The Commission recommends that a one-step procedure be adopted for such orders whereby only one application would be required which would apply, in the online context, to the website and the telecoms company. 3.114 The Commission recommends that the person alleged to have posted the harmful communications should be given the opportunity of appearing and making representations to the court before the court makes a Norwich Pharmacal order.